New Bullet Trains To Put China Out Front On High-Speed Rail : The Two-Way Six years after China slowed down its fastest trains in the wake of a deadly crash, a next generation of super-fast trains are set to cut commute times between major cities. A Fuxing bullet train, China's latest high-speed train, arrives at a train station in northern China's Tianjin municipality. 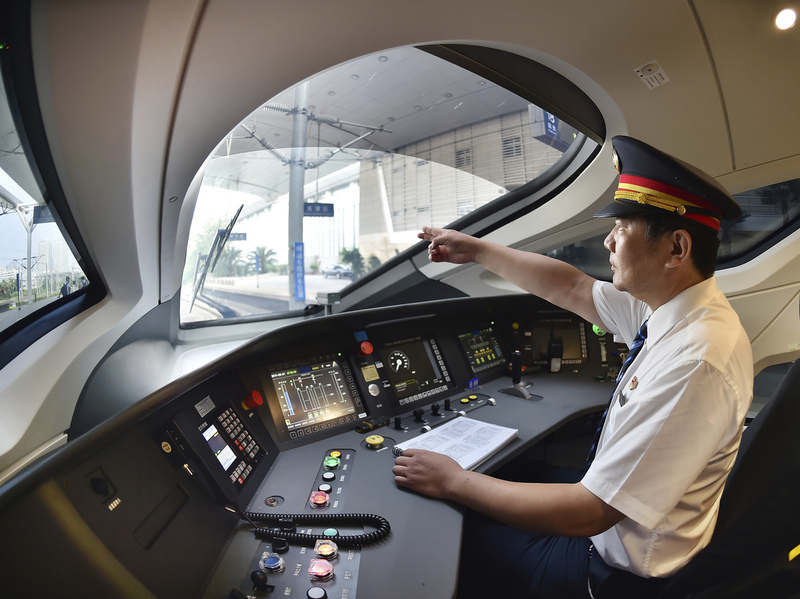 A train driver prepares to operate the Fuxing bullet train as it travels from Tianjin to Beijing. Six years after a fatal crash caused China to throttle back its high-speed rail service, the country is relaunching the world's fastest inter-city lines, including one between Beijing and Shanghai that cuts an hour off the current travel time. The operating speed of the new bullet trains, known as "Fuxing," or "Rejuvenation," will be 217 mph, according to Chinese media. The last generation, known as "Harmony," ran as fast for three years until the 2011 crash in Wenzhou, in Zhejiang province, that killed 40 people and injured nearly 200. However, following that accident, China capped the speed at 186 mph. 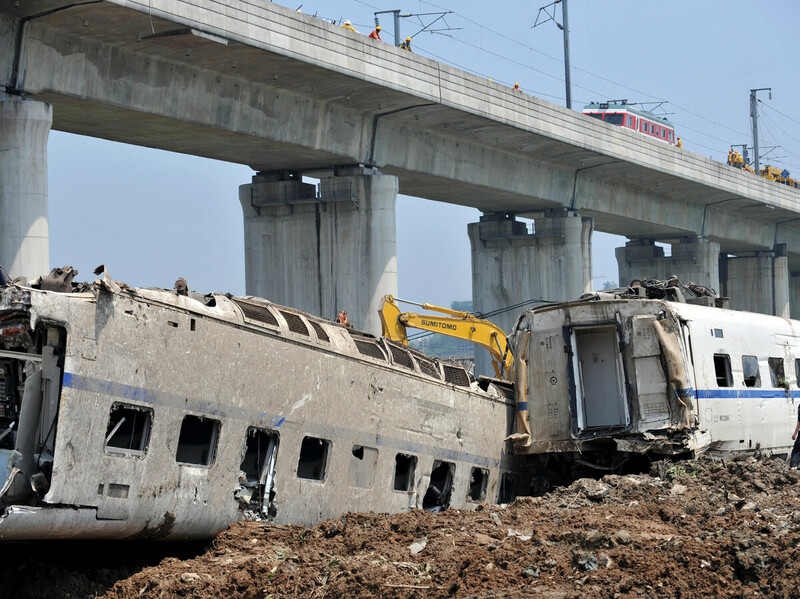 Workers prepare to clear away wrecked train cars in Wenzhou, in China's Zhejiang province, after the crash of a bullet train in 2011. That put Italy's AGV Italo, operating at just under 225 mph, temporarily in first place in the high-speed rail race, according to Railway Technology. 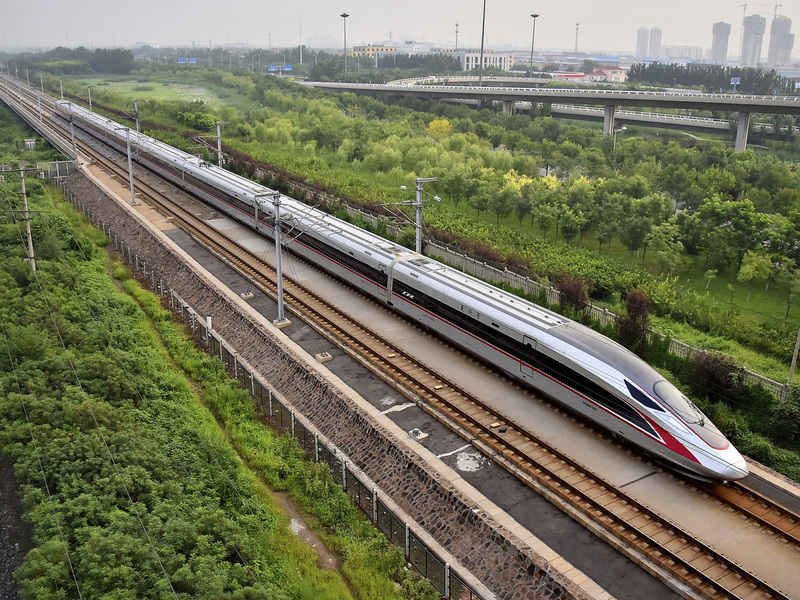 The South China Morning Post quotes a government-controlled website as saying that the Beijing-Tianjin-Hebei line will resume operations immediately, while the heavily used 820-mile-long Beijing to Shanghai line will start with the new trains and faster speeds on Sept. 21. The Fuxing bullet trains will cut an hour off the current five hours and thirty minutes between Beijing and Shanghai, the newspaper says. China's Shanghai Maglev, which operates a 19-mile-long run to and from Shanghai's international airport, can reach a top speed of 267 mph, but its average speed is much slower, Railway Technology says. "China has laid more than 20,000 kilometers (12,400 miles) of high-speed rail, with a target of adding another 10,000 kilometers (6,214 miles) by 2020. "China has spent an estimated $360 billion on high-speed rail, building by far the largest network in the world."